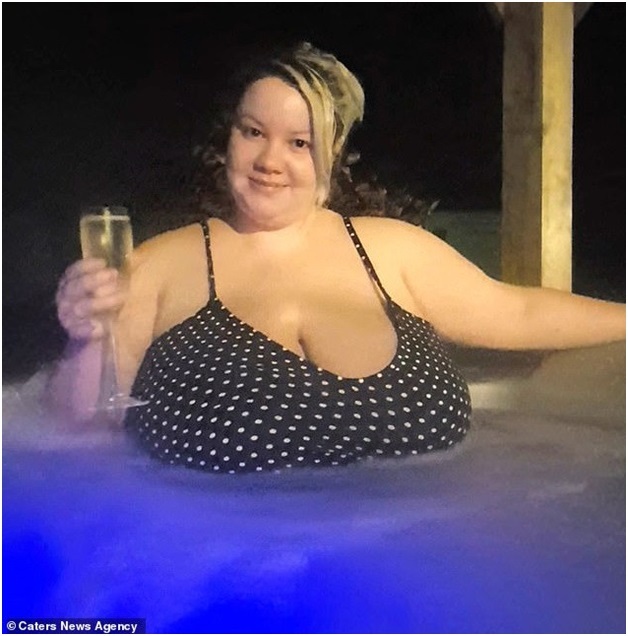 Friday, April 12, 2019 - This 25-year old lady is suffering from a rare condition dubbed Macromastia that causes abnormal enlargement of the breast tissue. Fiona Hornby, a mother of one from Bolton, Greater Manchester, has struggled with the size of her breasts since the age of 10, which grew from a C cup to a 48 J during puberty. According to Fiona, who is now housebound due to their humongous size, her life has been 'ruined' by the size of her breasts. She even struggles to leave the house because of the back pain and avoids breastfeeding her four-month-old son for fear of suffocating him. 'My huge breasts have ruined my life. They have affected everything.